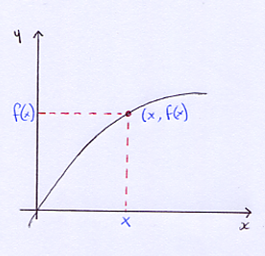 Leaving Cert help notes: Differentiation - what is it? Differentiation - what is it? Okay so in Maths we learn about differentiation and what to do, the formulas etc, but what is differentiation??? 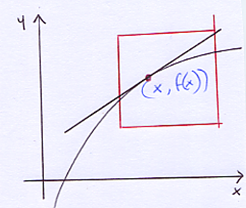 Differentiation is finding the slope of a curve at a particular point on the curve. 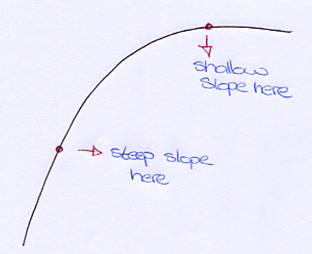 But how do we find slopes? 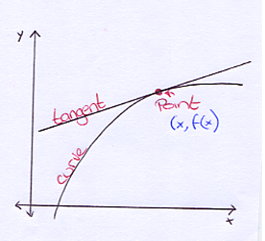 So if we know two points on the tangent we can work out the tangent slope and thus the curve slope. Next we require some limits and some imagination. And again... 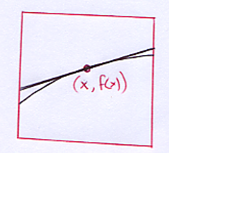 It's getting hard to distinguish between the two lines. We can soom in infintely until they appear as practically the same line! 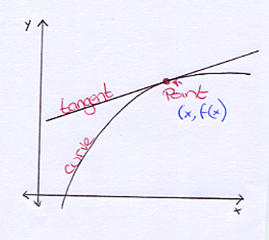 so we can now say that two points on the curve are now alone on the tangent, a distance of 'h' apart. 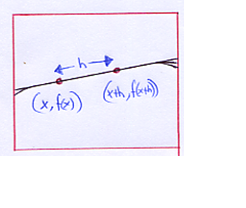 If we make the distance 'h' between the two points as small as possible t will appear as if they are the same point. This is our differentiation formula! 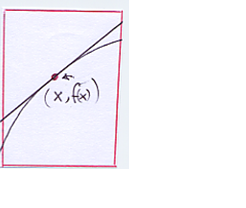 Sorry it's probably a bit late but could you explain integration? 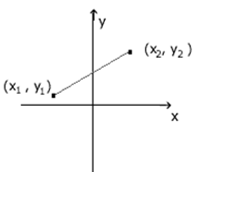 I struggle with integrating ln & trig the most.